Everyone loves to have a sweet or savoury treat with a cup of coffee, whether breakfast, lunch or even dinner! One of our newest supporters serves up all the above, in the form of crepes. 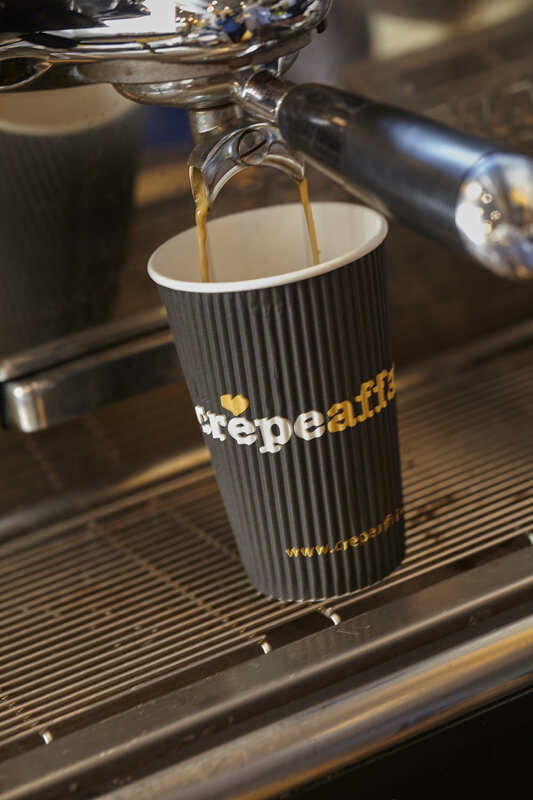 Crêpeaffaire is the latest brand to join the UK Coffee Week campaign! “We certainly have an innate inability to function without coffee”, says Matt at Crêpeaffaire head office. We certainly agree! Crêpeaffaire started out in Hammersmith, London 10 years ago, and have since opened a further 13 stores around the UK. Their coffee philosophy? Simple, caffeinated goodness; what more could coffee lovers ask for? We’re really looking forward to Crêpeaffaire getting involved in UK Coffee Week this year! Make sure you look out for the UK Coffee Week materials in their stores, get a delicious crepe combination and support Project Waterfall through a simple cup of Crêpeaffaire coffee!